To mark the success of this year’s event, WMDF has produced and circulated a newspaper-style report. You can view the full text by clicking on the image below (Japanese, pdf file, 1.2M). Despite the daily rain (and two typhoons), we ran for the full 6 days. We brought our participant country count to 42. We hit almost exactly our target of total 30,000 audience, despite only being able to run one stage on the final day. Mogu Mogu Festival booths passed 50 for the first time. 20 million yen turnover passed at Mogu Mogu Festival for the first time. The Waku Waku Festival debuted successfully, bringing yet more worlds for you to meet at our event. 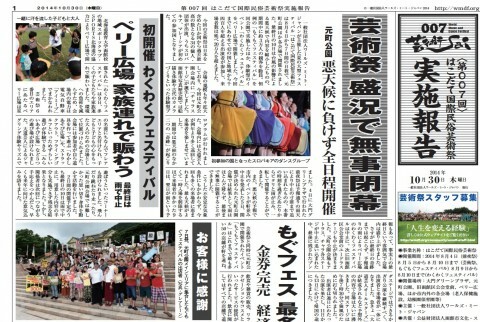 The newspaper has been sent to sponsors, Mogu Mogu Festival stall representatives, and many other places around town. Many thanks to all for the continued support to keep our event growing and representing Hakodate and Japan on a world stage. We are already looking forward to next year! On Aug 18, TV Tokyo showed an interview with the leader of WMDF’s “Hanafubuki” as part of its program Why did you come to Japan?”. 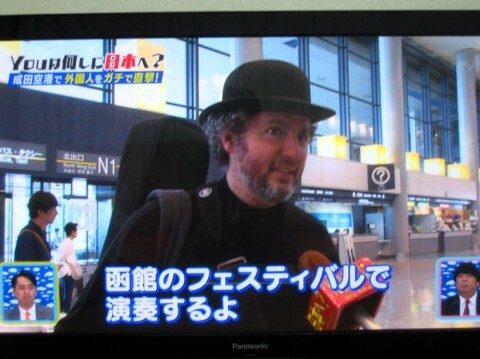 The caption below says “I came to Japan to perform at the Festival in Hakodate”. 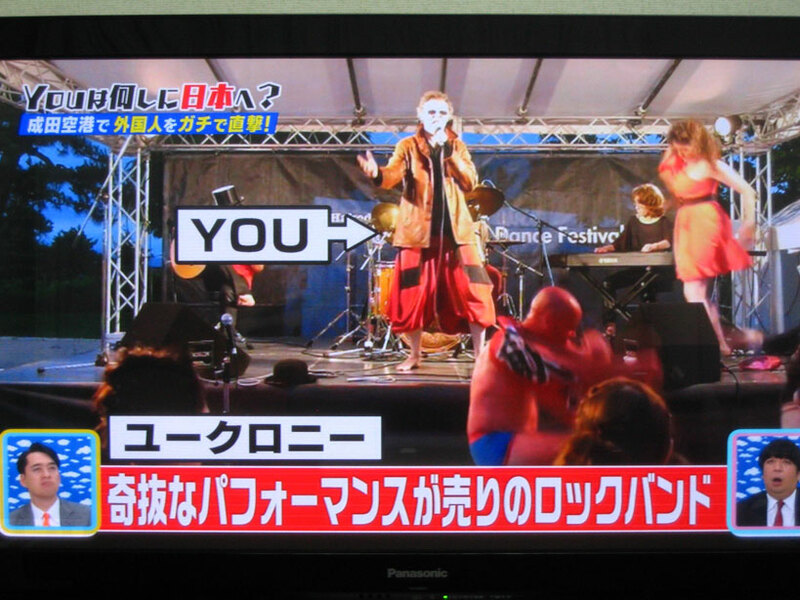 The program showed a still of their performance at the Bunda stage, with the description “Rock-style band appeals through eccentric performances”. Uchronie’s performance is also on the WMDF Official Channel, so please check it out. WMDF’s reputation continues to grow in Japan and beyond. Please help keep the word spreading! Update: all Atlas and Chara stage performances have been cancelled today. Chara has no covering, and the roof of Atlas is so high that rain hits the stage easily when there is any wind. Bunda stage is still up and running. with a string of performances for those who are up to challenging the weather.